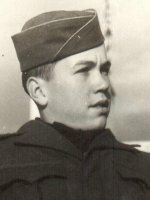 ALBANY – William M. Manning, 84, of Albany, died Sunday, December 4, 2011 in the Hospice Inn at St. Peter’s Hospital. Mr. Manning was born in Albany, the son of the late Martinus and Henrietta Schoonbeck Manning. He lived here all his life until moving to Ocala, Florida in retirement, and returning to Albany two years ago. He served in the U.S. Army during World War II, and was employed in electrical engineering at the V.A. Hospital in Albany for 34 years. During his time at the hospital he was presented with many service awards, and had a key role in the installation of the nuclear medicine department. In retirement, he and his wife traveled extensively. He loved to camp and fish with his family and friends and he enjoyed participating in several bowling leagues. Mr. Manning’s family will remember him as a wonderful husband and a loving father and grandfather. He is survived by his beloved wife Charlotte Stoessel Manning; his daughters Charlene Ann Manning-Ellis (Curtis) of Albany, and Lisa Lynn Lenz (Herbert) of Round Top; and his grandchildren William Michael Lenz, Steven Andrew Lenz, and Sophia Grace Ellis. He was predeceased by his parents and his sisters Ruth Manning and Margaret Manning. Funeral arrangements have been entrusted to the Hans Funeral Home, 1088 Western Ave., Albany. Funeral services will be held privately at the convenience of the family. There will be no calling hours. To leave a message of condolence for the family or send a sympathy card, please visit www.HansFuneralHome.com.